Your Mac takes care of routine maintenance behind the scenes eventually, but that doesn’t mean you can’t keep things tidy yourself in the meantime. One easy way to keep your Mac running its best is to occasionally clean the cache. User (or App) cache. These cache files created by all the apps that you use on Mac. It includes apps that came with your macOS (like Mail) as well as 3rd-party apps (like Sketch). Every applications creates a lots of cache - it wouldn’t be surprising to clear up gigabytes of space when cleaning app caches. System cache. These cache data created by the built-in macOS system services that run your Mac. Browser cache. All browsers store your browsing history and cache data from websites you visit. You know how you shop for something online and then for weeks you’re seeing it everywhere? That’s because your browser caches hundreds of files that make up the websites you visit. Caches also include cookies and trackers that save information about your browsing history and report the data back to the site. This works out in your favor when you return to a site without having to log in again, but it can also leave you feeling like your computer is spying on you. 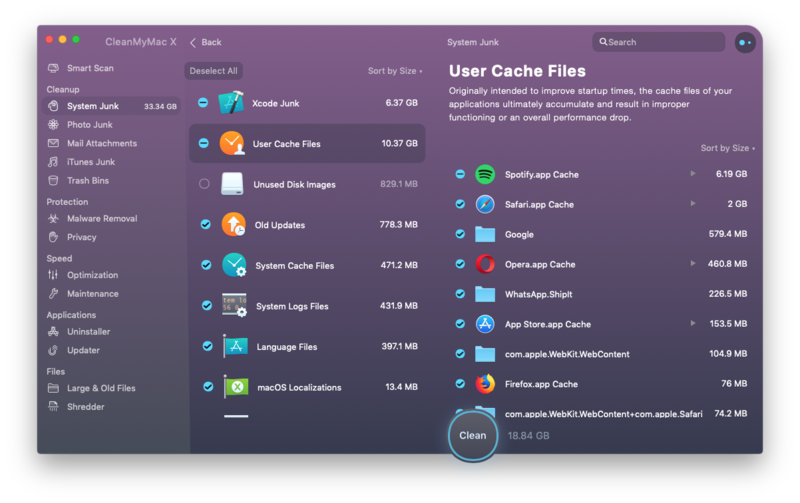 Old cache files do nothing but cluttering your system and slowing down your Mac through all the wasted space it is taking up. 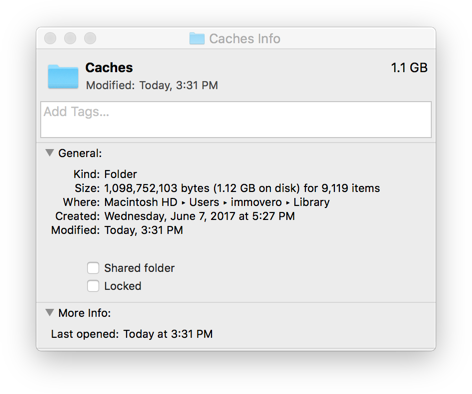 Here's a guide to cleaning all these caches, at the end of which your Mac will be lighter and leaner. 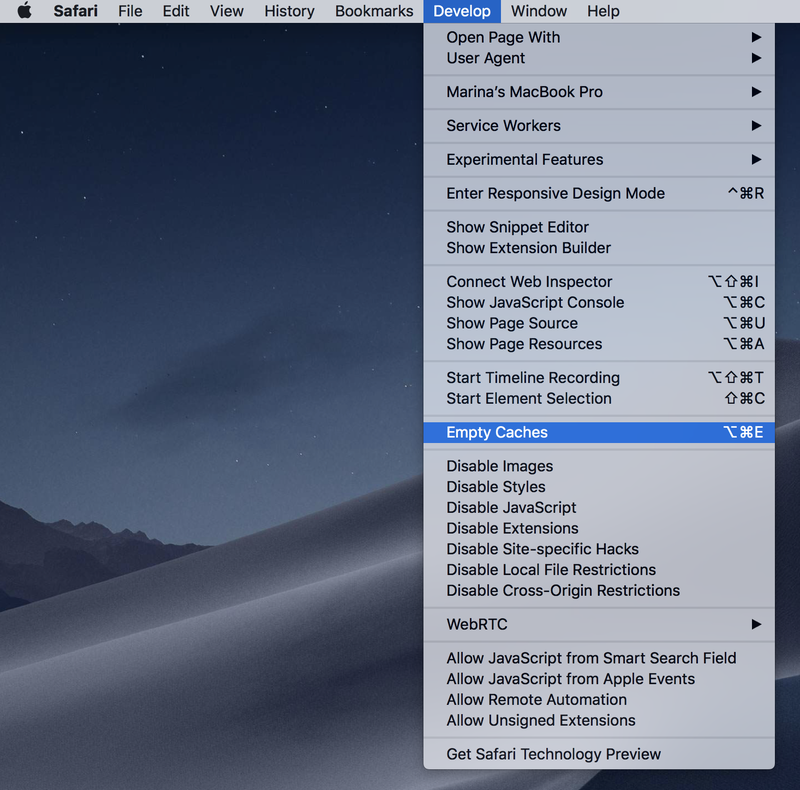 Besides browser and website information, your Mac keeps several caches of its own for different reasons. The good news is you can clean them up manually, or you can clean them with a special app like CleanMyMac. It can clear the browser cache in Safari, Chrome, and Firefox, as well as your system cache, email cache, user cache files, and even your DNS cache files. User cache makes up the majority of junk data on macOS. Your applications accumulate user's cache data on a hard disk the longer they are in use. Some apps and utilities can build up cache sizes that reach into gigabytes. This is often just a waste of space, particularly with apps you don’t use every day. By clearing your user apps cache files, you’ll be amazed at how much hard disk space you can reclaim. Note: Manually clearing cache files on a Mac is something that anyone can do. It takes some time and patience, but if you follow our instructions, you can get the job done all by yourself. Please follow the instructions closely. 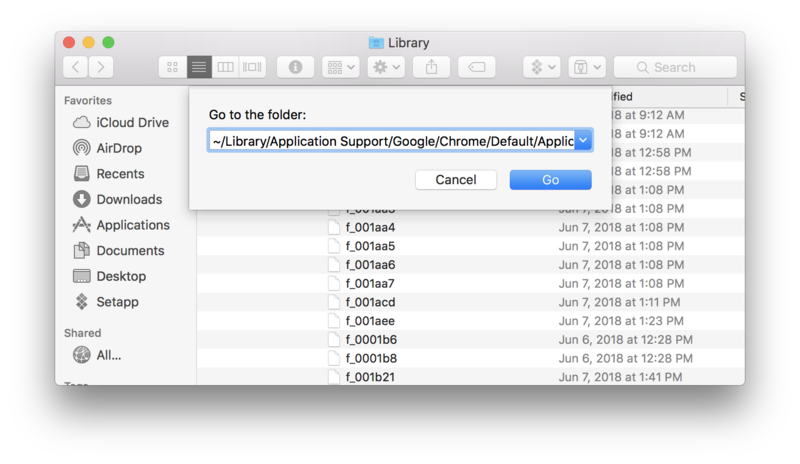 In your Mac’s user folder, there’s a hidden Library folder, which itself contains a folder of caches left by the applications you’ve installed on your Mac. Strongly recommend that you remove the insides of ~/Library/Caches and /Library/Caches folders, but not the folders themselves. 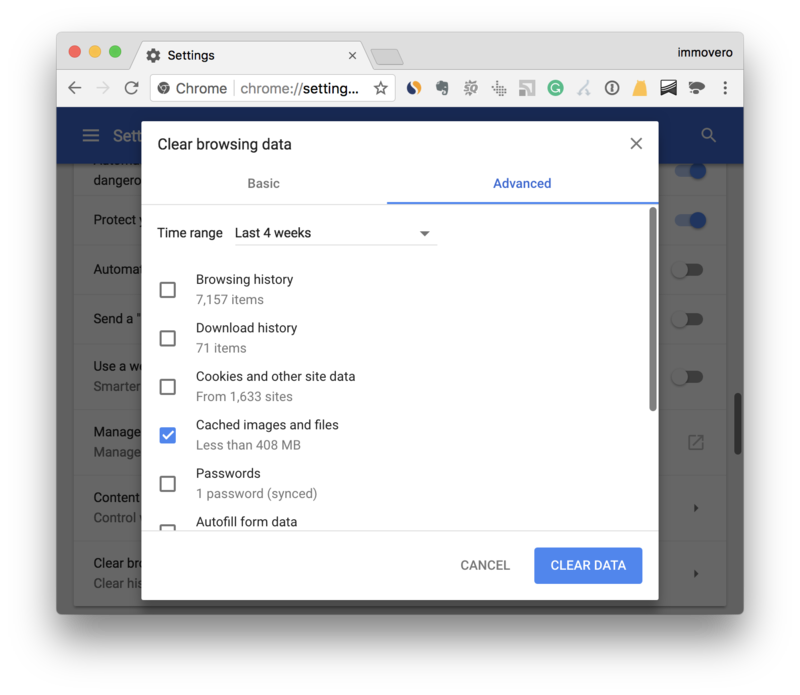 Want to make sure your junk user cache data is gone forever? - Empty out your Trash. If you are unsure and want a safer option, go ahead and learn on how to use CleanMyMac to handle caches properly. It will find up to 5x more junk cache data to remove from all over your system. Select System Junk in the left sidebar. Hit Scan at the bottom of app's window. And you're done! If you’d like to remove only cache files and nothing else, click on Review Details before clicking Clean. Deselect everything but System Cache Files and User Cache Files, then click Clean. 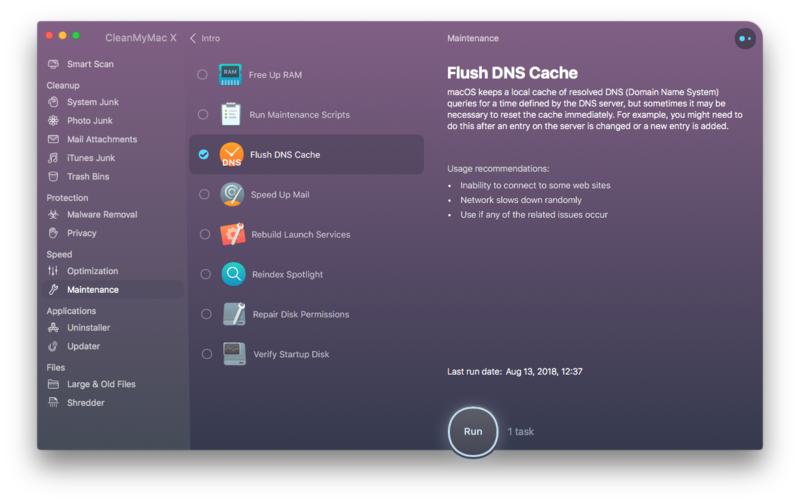 Your Mac’s DNS cache is a list of all the DNS queries that were resolved for every site. When you type in “setapp.com," the DNS server resolves that to a numerical IP address. But if you notice a site not loading, or your browser acting up or working too slowly, resetting the DNS cache might be the cure. Press Enter to run and fill your admin password to execute the command. System cache files are generated by OS X and, unlike application cache, have nothing to do with the user. The hidden system caches are mainly created by the apps that run on your Mac. The clearing of system cache is not recommended in manual mode, unless you are very careful or trying to fix a problem. System cache files do not generally take up much space, which is another reason why a clean out isn’t as necessary as with user cache. Going to ~/Library/Caches and hit Enter to removing the insides of the folders with the app name. System cache folders are named com.apple and should be backed up for safety. Go into the com.apple folders and delete the files inside of them. Only the files, not the folders! Right click on the Trash icon and “Empty Trash”. That’s it, now, just like with your user cache, your system cache is also clear. Be careful: not all app cache files can be safely deleted. Some app developers keep important information on cache folders. The great idea to backing up a folder before you erase all files inside. If everything works fine, you can delete this backup. CleanMyMac is such a great tool because it lets you perform the exact maintenance you want, or run a Smart Cleanup scan with a single click and have the software make recommendations. We love our browsers but we don’t love it when they start to use up hard disk space with cache files. 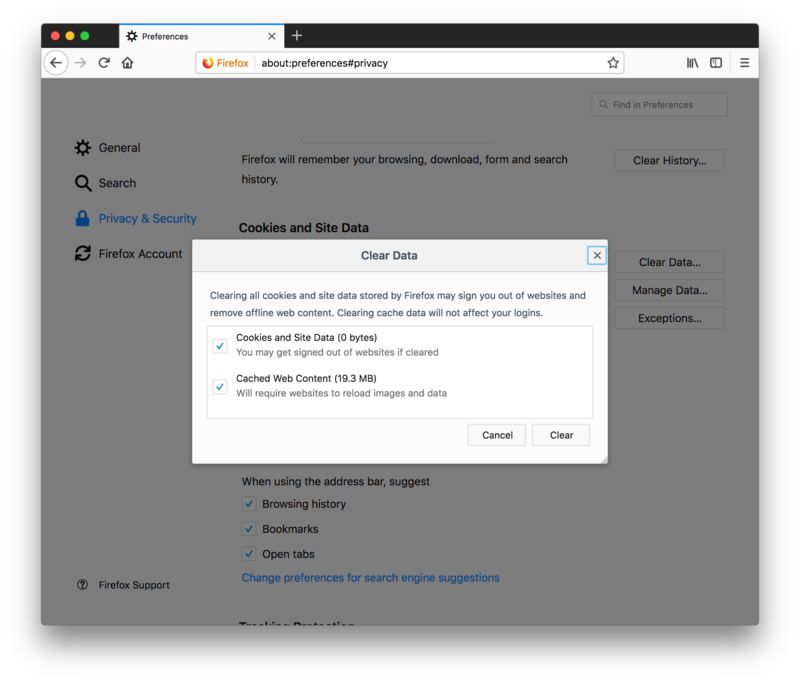 Whether you’re wanting to free up space, get your browser performing better or trying to remove your history for the sake of privacy, removing your Mac browser cache will help. Your browser cache is essentially saved bits of the websites you’ve visited recently. That way, if you go back, your computer can re-use locally cached elements that haven’t changed, which speeds up load times versus reloading everything fresh from the remote server. Your cache will overwrite itself eventually, but you can clear your cache, history, and cookies anytime you want to gain a little bit of extra security and speed up your Mac. Click Safari in the top menu click Preferences. In the window that appears, click the Advanced tab, and enable Show Develop menu. In menu bar go to Develop and choose Empty Caches. In the top right corner of Google Chrome browser click the 3-dot icon to choose Settings. Click Clear browsing data and deselect all, but Cached images and files. Choose time range and hit Clear data button. One more way to delete Chrome browser cache is to clear some folders where these data located. To find Chrome cache files, open Finder and click to Go to the folder. Select files within these folders and delete them. Click the hamburger icon in the top right corner and choose Preferences. Choose Privacy & Security on the left sidebar. Now, check Cached Web Content and click Clear button to delete Firefox cache. 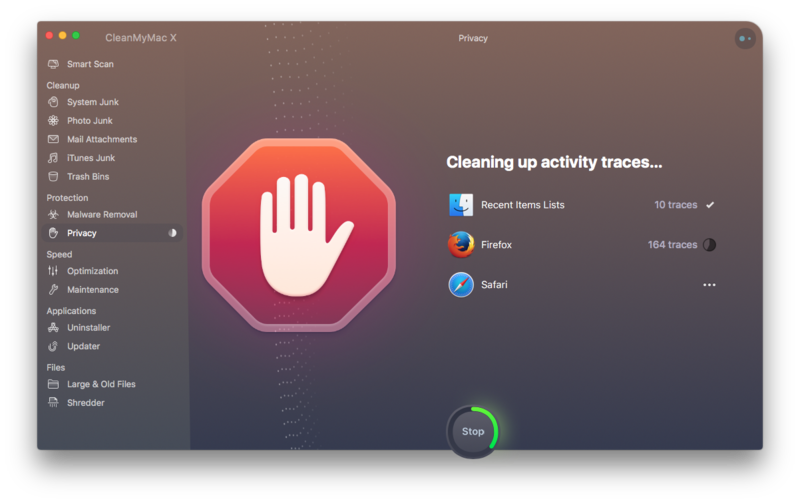 CleanMyMac isn’t the only app in the Setapp collection that helps you take good care of your Mac. Setapp gives you access to all of its apps at once, so you can try to get your Mac in even better condition with no downside. Here are some examples. Declutter automatically sorts files you leave on your desktop, so they’re not cluttering up your view but are still easy to find. Disk Drill can perform data recovery tasks, like restoring deleted files that haven’t been written over yet, or grabbing anything usable off a corrupted flash drive. Gemini can find duplicate files. For example, photos and videos you downloaded from your iPhone as well as emailed yourself. Or PDFs you downloaded and filed away once, only to download again later when you forgot you already had a copy. iStat Menus monitors your Mac’s vital signs in real time, so when things slow down you can see which app is hogging all your memory. Get Backup Pro makes it easy to make bootable backups of your system, making emergencies not so scary anymore. No one likes a slow Mac, and it’s a good idea to clean it up every so often. Cache files are the most common and probably the least understood offender that Setapp can help you to keep under control. So you can do everything else in a blink of an eye. With Setapp, you have full access to the best solutions for performing routine Mac maintenance whenever you like.